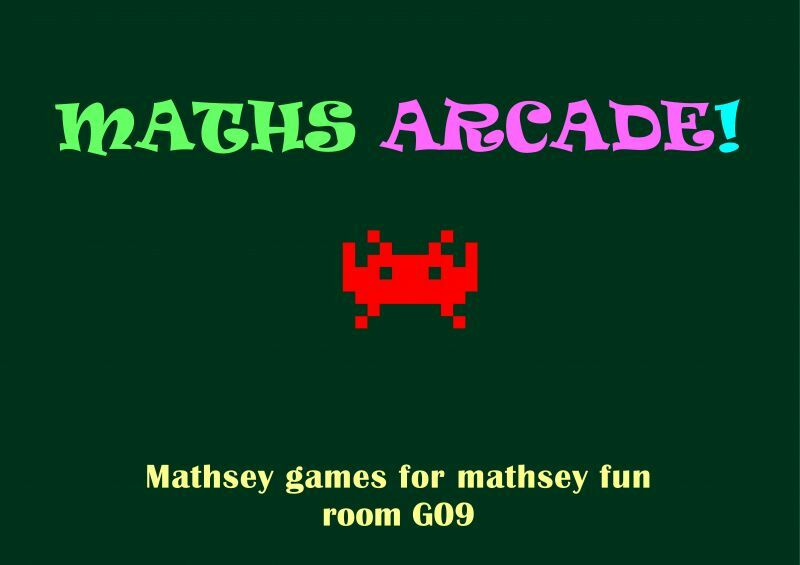 The Maths Arcade was held again in Science Week 2018, for the third year running, in it's regular home the MathSpace, in the Peter Hall Building. With attendance of 55 people, it was at full capacity --- the mix of retro games, 80s tunes and mathematics continues to be a crowd favourite. 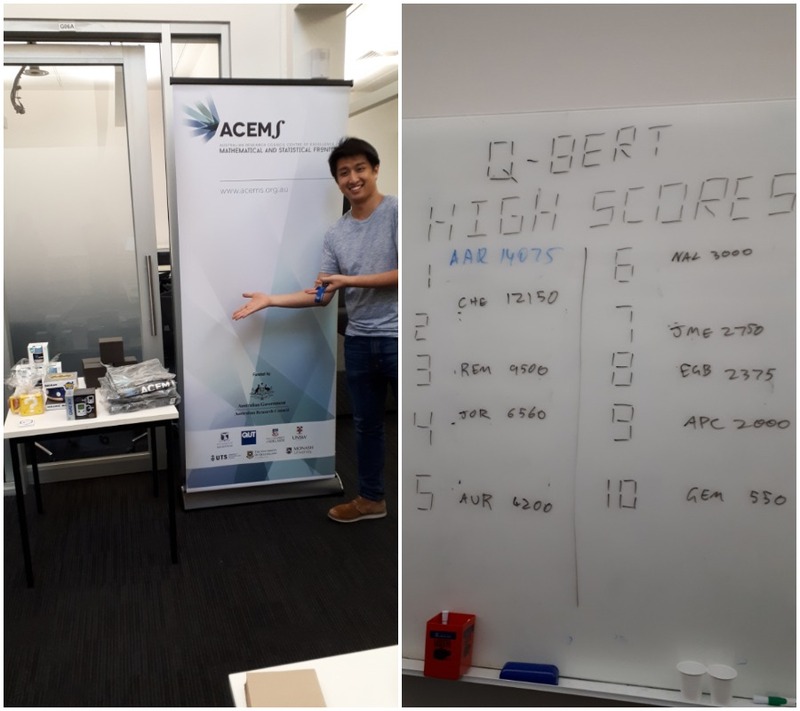 In addition to the prizes for high scores in the arcade classic Q*bert, this year also featured door prizes generously sponsored by the awesome Pac-people at ACEMS. Of course, the true arcade experience is only complete with Power Pellets (in the form of pizza and soft drink), and these were also courtesy of ACEMS.